Private foundations are designed to alleviate a specific social ill. It is unclear what ill the Trump Foundation was ever intended to solve. The fundamental problem with how President Donald Trump seems to have operated the Donald J. Trump Foundation is that he used it as just another corporate entity — one endowed with the ability to provide tax advantages to Trump — without any appreciation that the foundation’s funds were there to provide a benefit to the public. New York Attorney General Barbara Underwood alleged this week that Trump and his adult children did just that, illegally using their foundation for personal, business and political expenses instead of the charitable purposes it was supposedly supporting. If true, such actions would violate the public trust — as well as several laws. What Trump, and some like him, don’t seem to appreciate (either naively or willfully) is that once the funds are contributed to the foundation, they are no longer personal funds. First, a bit of context. The Trump Foundation is a particular tax-exempt entity called a private foundation. The hallmarks of private foundations are that they derive their source of funds from a single individual, family, or corporation, and that a small group has control over the foundation’s decisions and purse strings. Both of these hallmarks contrast it with a public charity, which relies on a broad base of donors and looks to an independent board of directors for oversight. Because of the strong connection between private foundations and the individual or family that funds them, the potential for abuse is higher than in a public charity. What Trump, and some like him, don’t seem to appreciate (either naively or willfully) is that once the funds are contributed to the foundation, they are no longer personal funds. They cannot be used for personal expenses, to advance the interests of for-profit entities, or to pursue political ambitions. While most charities do not engage in the kind of behavior alleged by the New York Attorney General here, the problem arises often enough to hurt the public’s trust in charities as a whole. There are three reasons for why these abuses continue to occur: some directors don’t care, the public isn’t sufficiently focused on the potential for abuse, and regulators don’t have the resources to go after violators. Because of the strong connection between private foundations and the individual or family that funds them, the potential for abuse is higher than in a public charity. First, some directors don’t care. The most critical body for overseeing nonprofit work in the United States is the organization’s board of directors. The board members are required by state law to attend to their duties in good faith, with diligence, care, and loyalty to the best interests of the organization. When the board is engaged, good things can happen, but when the board doesn’t pay attention and look after the foundation, trouble often arises. The directors of the Trump Foundation should have been determining where and for what purposes the funds were distributed, ensuring that the funds were used for charitable purposes, and that the disbursements did not violate the law. A critical alleged failing of the Trump Foundation is that its board, populated by Trump family members, was not in any way actually overseeing the foundation. The lawsuit claims that the board had not met in an official capacity since 1999, had not established necessary internal policies governing the foundation’s behavior, and had failed to observe the distinctions between the various Trump entities. Allegedly, there was no criteria for giving grants, no guidance for how to responsibly invest the foundation’s assets, and no method for avoiding conflicts of interest, among other failings. In other words, the most basic expectations of care and loyalty were not adhered to. A critical alleged failing of the Trump Foundation is that its board, populated by Trump family members, was not in any way actually overseeing the foundation. Second, the public isn’t typically focused on nonprofit abuses until after the fact. Nonprofit entities are required to make certain filings to state and federal authorities in the name of (governmental) oversight and (public) transparency. Transparency is generally a good thing, but it only works when someone is paying attention. Who is paying enough attention to catch signs of potential trouble or minor violations before they become massive scandals? Third, the regulators don’t have the resources. Regulatory authority over charities is split between the states and the Internal Revenue Service (IRS). Both are starved of resources in this area. At the state level, about one in three states have the equivalent of less than one person assigned to charitable oversight; most states have fewer than three people total. On the federal level, the IRS is widely believed to be unable to adequately enforce the law at current funding levels. Private foundations were initially created by Carnegie, Rockefeller and a small handful of others as a way to eliminate social ills. Private foundations were initially created by Carnegie, Rockefeller and a small handful of others as a way to eliminate social ills. The idea was to employ vast individual wealth to address social problems in a systematic way. The impetus, therefore, was not providing personal charity but rather solving a problem. Certain private foundations continue to adhere to this mindset today, the Bill & Melinda Gates Foundation being the most prominent. One way to look at a private foundation, then, is: what social ill is it intended to solve or meaningfully alleviate? Through this lens, many of the approximately 105,000 private foundations in the United States are not living up to their promise. As for the Trump Foundation, it is far from clear what social ill it was ever intended to solve. But even if we accept that not all private foundations can or even should be held to this lofty goal (and, to be clear, the law does not require such aspirations), the law does require that the foundation use its funds to advance some sort of public good. Supporting education, alleviating poverty, protecting the environment and many other kinds of activities qualify. What does not qualify is the use of funds to pay personal or corporate expenses. And these are precisely the kind of payments the New York Attorney General claims the Trump family made: using foundation funds to settle personal and corporate lawsuits, advance a political ambition and even purchase a painting of Trump to be hung in one of his country clubs. 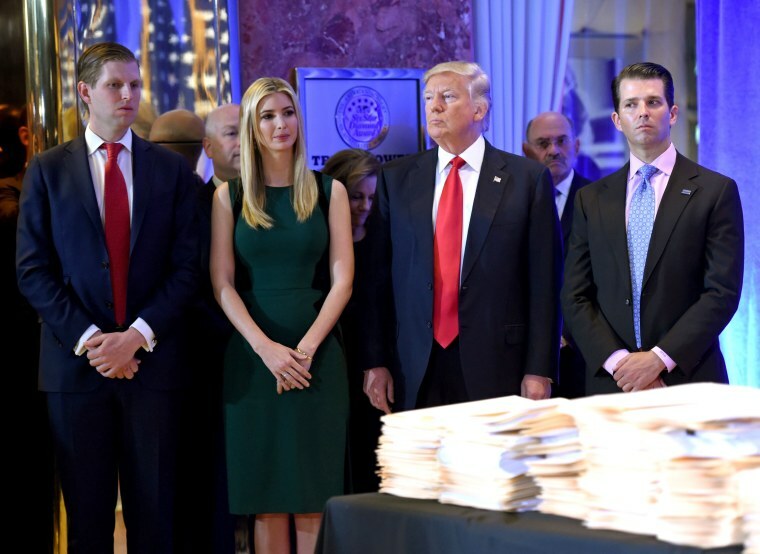 Why does it matter how the Trump Foundation used its resources? Or stated another way, why can’t Trump do what he wants to with money that was his to begin with? The basic answer is that in transferring the money to the foundation, he agreed to give it away for the benefit of the public and receive a private tax benefit in return. Charities make a deal with society: allow us to forgo paying certain taxes (and give us the ability to provide tax deductions to individual donors) in return for providing some public benefit. Funds used for private purposes, including political aspirations, do not benefit the public and thus violate the terms of the deal. John M. Bradley is the principal of Broadfield Insight, where he advises nonprofit organizations on governance and ethics issues and is a lecturer in law at the University of Pennsylvania Law School.